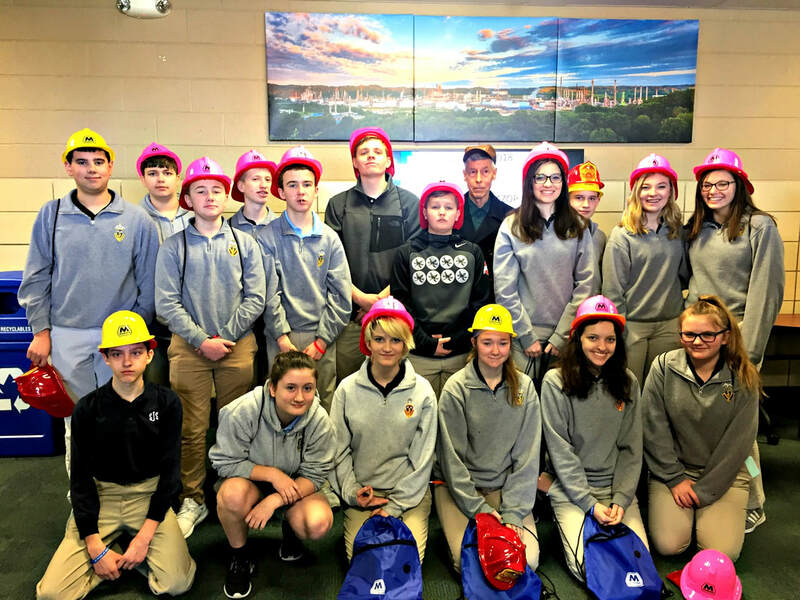 ​Eighth grade students from St. Joseph School attended the Marathon Regulatory Training Center on Tuesday, March 13th for Marathon's Career Fair. Students visited booths with presentations by employees from various departments such as engineering, safety, chemistry, operations, accounting, and more. Employees provided hands-on demonstrations of the work they perform at the refinery. Students also learned about trades from welders, electricians, and pipefitters. Bullying was discussed at the Diversity and Inclusion Booth, where students were asked to sign an anti-bullying pledge banner. The signed banner was then given to students to take back to school.